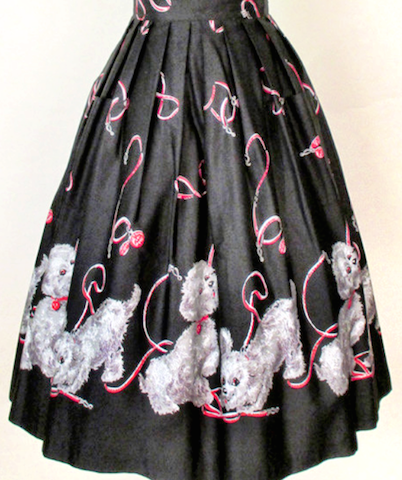 It’s official, I am OBSESSED with vintage 1950s Poodle dog purses and novelty clothing with Poodle prints. I think I could easily turn into the ‘crazy4noveltyprints’ or ‘Queen of Kitsch’ if I had an unlimited bank account because these vintage novelty items range anywhere from $75 to upwards of $750 for the beaded items!! 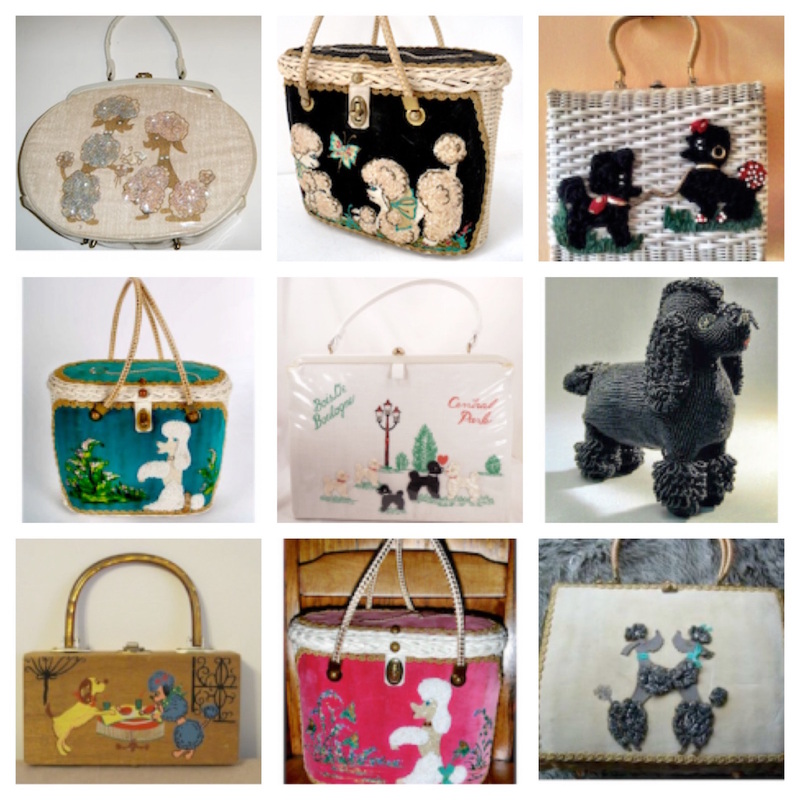 Here are some really collectible purses that were made back in the 50s in wicker, beads, wood, Lucite, some hand painted and even satin. These Poodle bags were for day or evening. Some popular designers and manufacturers are Enid Collins, Midas of Miami, Leslie of Miami, Lady Core Trade, Claire Fashions, Wilardy, Jolles Original, Walborg, Soure, and Gary Gails. The dress and skirt are from Catnip Vintage and I have the dress ordered, fingers crossed it fits (skirt was out of stock in my size). 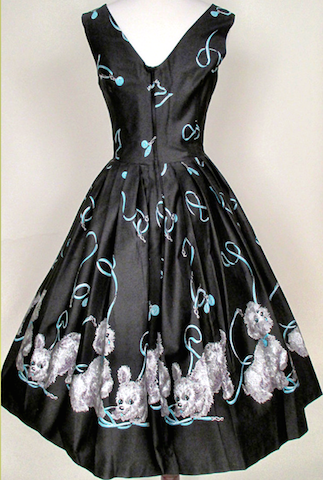 I can’t wait to share some pics of my dress with a couple of my very own vintage novelty Poodle bags. Stay tuned! !